Recently, I made a decision to make my own perfume brand. It's called "Scent of the Gods", This idea came because we are to believe that we are all gods. That made me think to create my own brand and hopefully more ideas will come as soon as I get into this field. It is easy to make some perfumes as long as you have already the ingredients which can be bought through the factory. I first studied it through Google. Eventually I found out where to get these ingredients. 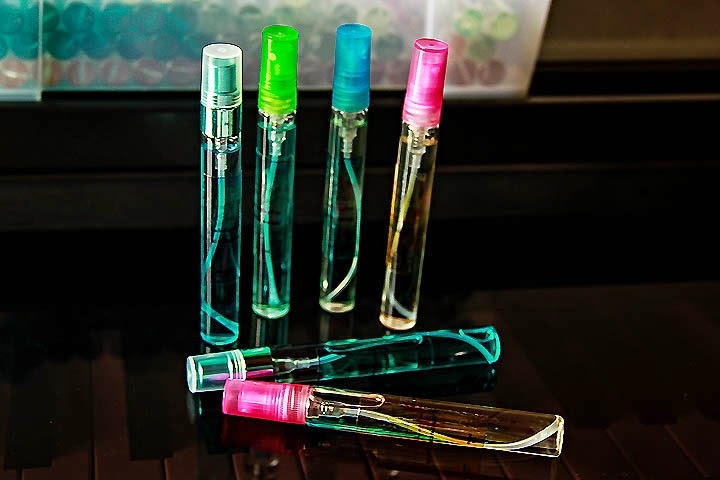 You need to have some fragrance oils, ethanol, DPG, fixative and distilled water as the main ingredients of the perfume. It can be done as DIY or Do It Yourself in less than an hour. You only need initiative to make some mixes of the scents. I love making perfumes because of the smell of the fragrances. Traveling is costly and I suppose there are some lean seasons when it comes to going places. It's been almost 2 months now since the last time I've tripped to a place. Calayan Island was the last travel I had. I was just thinking of the budget to spend too, one of the reasons why I had to stop traveling for a while. And one more thing, it is rainy season and we know that since it is wet, rains may ruin your chance to visit some good spots while traveling. I was thinking of doing a blog for foods, which I seldom do, research more about some of the restaurants that offer unique foods. At this time, fragrances are my pure concentration. We are humans capable of doing mistakes, and these words have been heard a couple a lot from our peers and the people around us. And this is due to the error that one has made and this is why rationalization takes place. Everything that happen to us, good or bad, we pick up some lessons. And these lessons come from the people of maybe who stayed with us whether for a short period of time or for life. Every experience we learn from our mistakes is an opportunity to grow and people may have hurt us, maybe a couple of times. If our friends or loved ones who did something wrong, sometimes it leaves a scar in our heart. That scar with the gravity of hurt you have felt takes time to heal the wounds. Forgiveness does not happen overnight. And sometimes we have to let the time heal the wound. And the wound heals itself when time flies. And as you go along with your life you may be ready to face the reality that you have indeed forgiven. I can't really say that I forgive you immediately. Every experience is unique, every journey is different and every person have some degrees when it's time to forgive. Remember, forgiveness is a state when you know that your heart is willing to be at peace in due time. Time is worth waiting.